Your husband is ONE decision from turning his heart toward you and being the man you LONG for him to be. Talk about a man whoâ€™s heart CHANGED. I love my Burris. 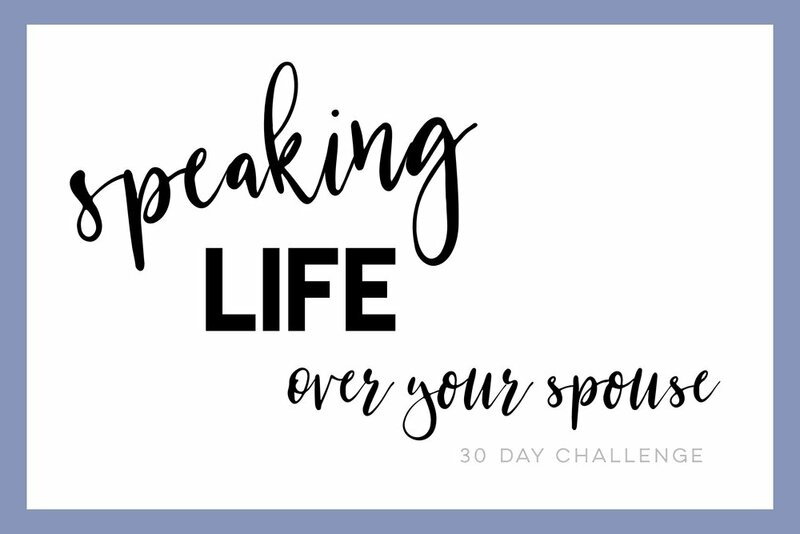 Since there is nothing to do while you're waiting on a man to have a change of heart, I DOUBLE DOG TRIPLE DOG DARE YOU to speak LIFE over him for the next 30 days. Praying this over your spouse has a crazy ability to change your heart toward Him AND it amps up discomfort in his own heart, especially if he is rebelling in any way. Speaking LIFE and TRUTH has a way of driving out darkness. And darkness screams on its way out. Your Father is â€œthe God who gives life to the dead and calls things into existence that do not exist.â€�, and since you are made in His image, you create with your mind and words, too! You have been given power and access from on high to speak LIFE! How freaking cool is that? You're ANGRY (hurt) with your spouse, you're LONGING (lonely) for him to change...and this feels CRAZY....because you see NONE of this happening right now. But nothing else is working, and God's word is POWER and will NOT return to Him void! When you speak it, it stirs all the things! Do the work of speaking LIFE. I did and still do, and continue to reap a marriage that I WANT and CHERISH. I love you so big and I KNOW extra goodness will fall on you as you continue to place your hope in Him. Its a promise. Click here to see that promise for yourself. 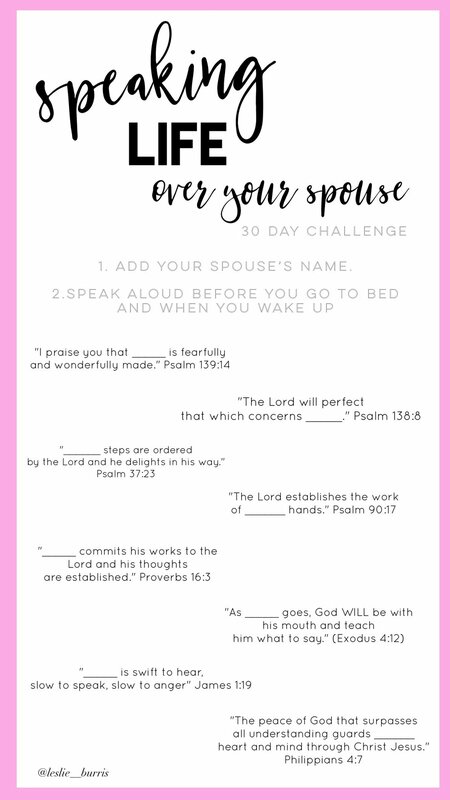 Here is a PDF you can download and take the 30 day challenge yourself!